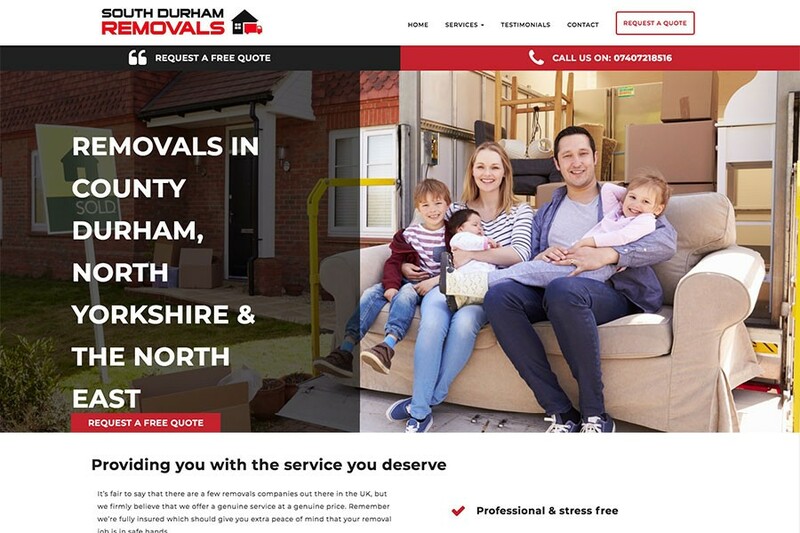 South Durham Removals came to Design365 as their current website was not generating very much business and they struggled to understand the reasons why. Our team investigated their current site and found areas that needed to improve to help South Durham Removals achieve their requirements for the site. We designed and developed a new Brochure website, making the company’s branding consistent throughout. Design365 built the site making it Search Engine friendly, enabling the site to be found easily in Google searches. 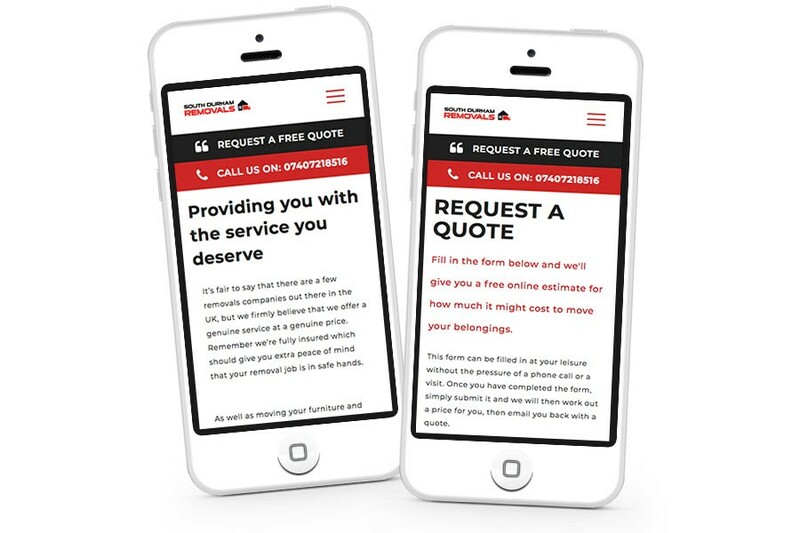 Their new website is also fully responsive, making it easier for their customers to access the site on Mobile devices, Ipads or laptops. The site adapts to multiple screen sizes and displays much faster on mobile sites than previously. 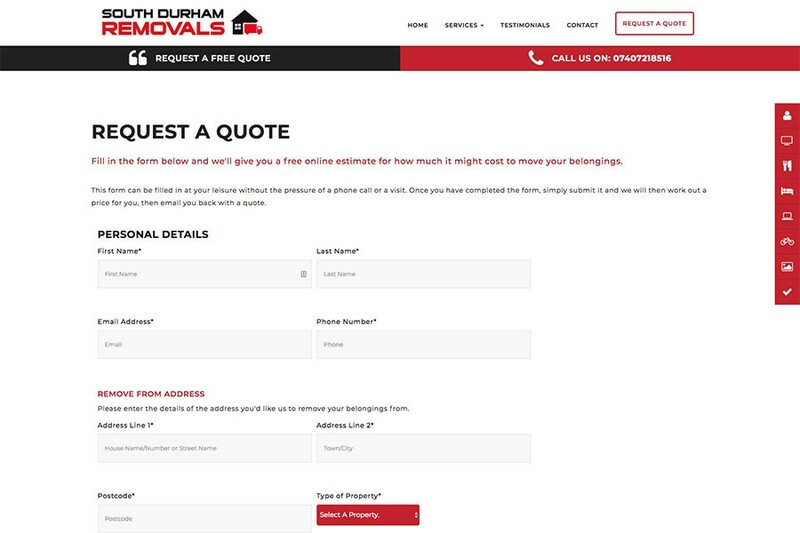 These changes are helping South Durham Removals to generate more enquiry and sales conversation and allowing them to grow by showcasing all the services they provide. 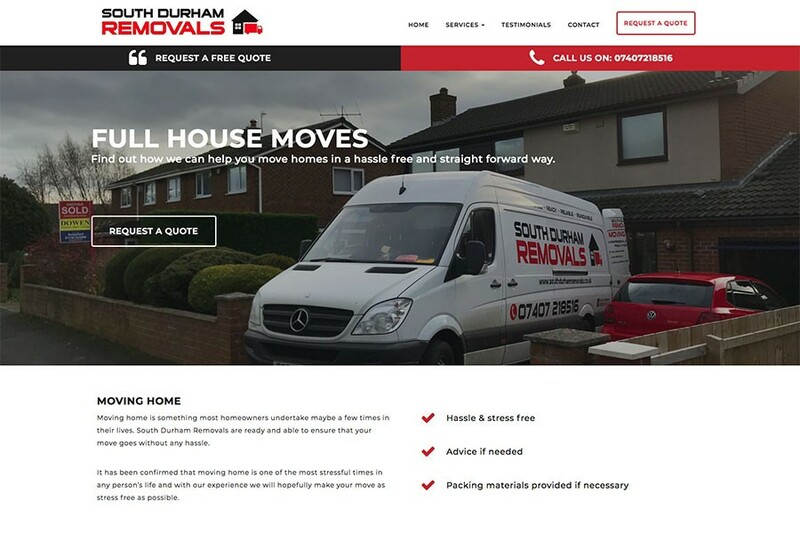 I contacted Design365 in an attempt to produce a professional website for my removal business therefore getting more enquiries which would hopefully lead to jobs. 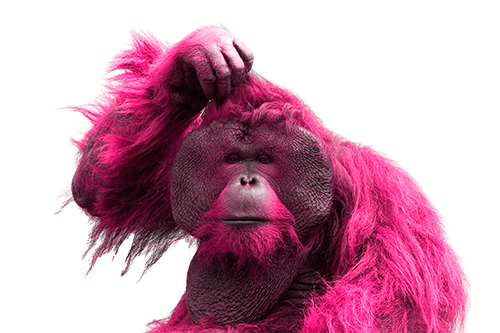 My point of contact at Design365 was JT who advised me on the best structure and content of a website to use for my type of business. JT also gave me advice on trying different things within the website which have turned out to be a real benefit for my business. Design365 now host my website and are at the end of the phone for advice or any changes if needed. A big thanks to the team for their continued support and advice.